Wow! I can’t believe it’s been 5 years. I keep my spot here because WordPress.com is a wonderful place. A big Thank you to WordPress for making this an enjoyable community to be in. Most of all, I stay for my (patient), friendly and supportive Blogging Buddies & Readers. You all are a blessing to my life and bring many smiles to my heart. I look forward to a New Year of blogging along here with you all. This entry was posted in Blog News & Misc and tagged anniversary, blogging, buddies, friends, wordpress, wp. Bookmark the permalink. Happy Blogaversary, E.C.! So happy to count myself amongst your blogging buddies. Wishing you and yours a wonderful New Year! 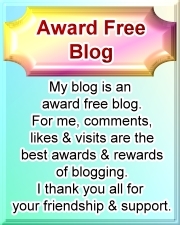 I am glad to be one of your blogging buddies also. You always bring a smile to my face! Congratulations! Looking forward to all your future handiwork and ideas! You all are so sweet! You’re the best! Congratulations on five years! Looking forward to another five.